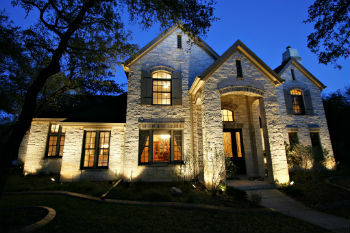 Welcome home to 2203 Crystal Hills Dr. Houston, TX 77077 located in the wonderful Shadowbriar subdivision. This beautiful 4 bedroom 2.5 bathroom home features a large living room with gas log fireplace and wet bar! Formal dining room just off the kitchen and living room. Kitchen with stainless steel appliances, granite countertops and lots of cabinet and countertop space! Grand master suite with lots of space and natural light perfect for all your needs!. Master bath features dual vanities and shower with tub! Spacious secondary bedrooms located on second floor! Secondary bathroom with dual vanities! Large backyard with patio and mature trees perfect for enjoying the day! Untouched by Hurricane Harvey! Make your appointment today this one will not last long! Welcome home to 22622 Deville Dr. Katy, TX 77450 in the wonderful West Memorial subdivision on a corner lot! This 3 bedroom 2 bathroom 2,429 sqft home features a large living room, dining room just off entryway and extra room! Large island kitchen with granite countertops, lots of cabinet space and beautiful tile backsplash. Breakfast area with lots of storage space! Garage converted into huge grameroom perfect for entertaining! Grand master suite with full length mirror. Spacious secondary bedrooms with large closets. Backyard with covered porch and amazing pool perfect for entertaining and enjoying the day! 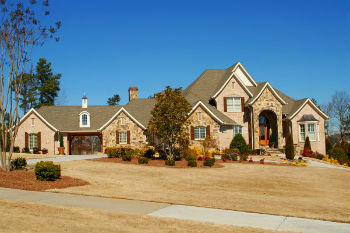 Welcome home to 25605 Peppermill Creek Dr. located in the wonderful Oakhurst Fairways subdivision. This spacious, home is perfect for comfortable living! Open floor plan features a large family room with gas log fireplace, two story living room plus formal dining or study down. Gourmet kitchen with an oversized granite island and stainless steel appliances a chefs dream. Popular wood look ceramic tile makes maintenance a breeze. Mother-in-law/Secondary Master suite on first floor. Master suite features a high ceiling, whirlpool garden bath, separate shower and grand walk-in closet. Zoned A/C,central vacuum system, security system and video surveillance. Fenced back yard with covered back patio. Untouched by Hurricane Harvey! Oakhurst is conveniently located to HWY 59 and the Grand Parkway. This beautiful community features a gorgeous golf course, community pool, splash pad, parks and more! Welcome home to 163 Walnut Blvd Trinity, TX 75862 located in the wonderful Trinity Cove subdivision. Cute 2 bed, 2 bath mobile home on double lot in Trinity Cove. Great Weekend Fishing Getaway. Mature Trees, bird baths, fire pit, porch swing. Double Carport, storage shed, workshop. Lots of storage. Covered front porch, length of house. Fireplace. Motivated seller. Bring ALL offers. Welcome home to 8100 Creekbend Dr. Unit #103 located in the wonderful Braeswood Forest Condominums. Nicely updated and completely renovated unit with new wood flooring in the living rooms and all rooms! Tile in the kitchen and it was recently painted. This unit is a must see for the 3 bedroom 2 full bath. Make your appointment today! 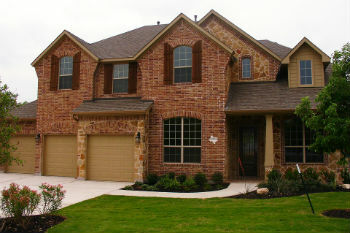 Welcome home to 25807 Coyote Springs Court Spring, TX 77373 located in the beautiful Spring Lakes subdivision. This house features a large study with huge built-in shelves and french doors. Formal dining just off the entryway. Spacious open concept living room with high ceilings, fireplace and lots of natural light! Large kitchen with tile backsplash, plenty of countertop and cabinet space! Grand master bedroom located on first floor! Master bathroom with dual vanities garden tub and separate shower! Large game room located upstairs. Spacious bedrooms upstairs with two bathrooms. Large backyard perfect for enjoying the day. Make your appointment today! Seller is looking for a 100 year leaseback, property purchaser to be landlord. Make your appointment today! See attached document! Looking for builder to be landlord! Welcome home to 107 Round Lake Dr. Rosenberg, TX 77469 located in the beautiful Summer Lakes subdivision! This 3 bedroom 3.5 bath house features wood-grain tile flooring throughout the main living areas, spacious study with french doors. Large open kitchen with chef designed double islands, GE stainless steel appliances, custom cabinetry and tile backsplash! Formal dining room with Roman column details and chair rail detail. Grandiose master en suite with wood-grain tile flooring. Master bath suite with his and her vanities, walk-in shower, oversized garden tub and walk-in closet. Media room perfect for entertaining. Spacious bedrooms, one with en suite. Large backyard with patio! Make your appointment today! Welcome home to 1120 Wilson Rd! The home sits on a large lot with light restrictions, no HOA. This 3 bedroom/2 bathroom 1,998 sqft home features a lovely kitchen with tons of countertop and cabinet space. Large open living room with fireplace and brick wall! Master bedroom located just off the living room with lots of natural light. Master bathroom with beautiful vanity and tub and shower combo. Both secondary bedrooms located just off the living room. Huge backyard with wonderful back patio perfect for enjoying the evening. No back neighbors! Did not flood! Make your appointment today!!! Outstanding former MODEL by Gracepoint Homes with 4 bedrooms and on-suite baths w/elevator. Open concept has a spacious island kitchen, formal dining, family room and a guest suite on the first floor with 10 8217; ceilings. The owner 8217;s retreat dominates the upstairs with a spacious master bedroom, sitting area and an additional space that could be a study/workout area. Spa-like master bath and L shaped walk-in closet that accesses the utility room. Unique design makes a statement at the curb with a 2-story painted brick elevation featuring large front balcony, covered entry porch & alley 2-car garage. Upgraded finish selections, lighting, window coverings, brick walls. Washer-dryer-refrigerator-flat screen TV in the family room STAY with the home. 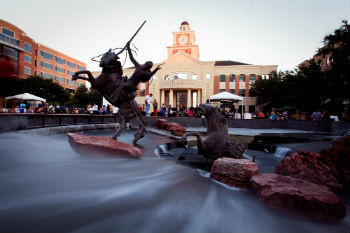 Lock & leave community w/low tax rate feeding to CISD schools. HOA takes care of the outside yard maintenance. 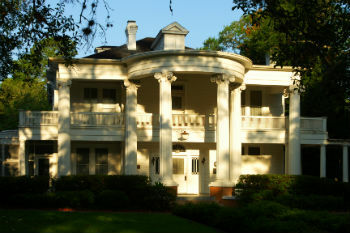 Wonderful Shenandoah location near Hospitals, Market Street, the Pavilion and access to I-45. Over $28,000 owner UPGRADES. We are very proud to present this Colina-built home that is nearly new. The condition of both the house and property is impeccable in every way. The owners have added features that make it superior to new construction - just wait until you see the enhanced park-like back yard with plenty of room for a pool. The interior upgrades are too numerous to name with high level granite countertops, 42 inch cabinets, and laminate flooring throughout the entryway, main living areas, and master bedroom. The setting is an oversized premium lot located on a small circle off the main street. Curb appeal? Well, judge for yourself! Everything about this house is a cut above the others. The master is on the first floor with three additional generous-sized bedrooms and an oversized game-room and large guest bathroom. If its schools you are most concerned about, you will be zoned to the acclaimed Klein ISD and the little ones will be just a stone's throw away from home at Mahaffey Elementary School. This fabulous home in the gated enclave of Gary Glen has had major updates this year including a kitchen remodel, painting of the entire inside of home, new carpeting, lighting, and new elegant double wrought iron front doors. Along with other recent upgrades the home has lovely wood and stone floors, a game room/media room down and a separate game room and media room upstairs with a huge, finished, bonus room for a play area, exercise room or any other needed space. Along with these sought after features, there is a four car garage, circular drive, entry and back staircases, large closets, exercise room off master bath, lush salt water pool with outdoor kitchen, covered gathering area with fireplace, on large lot on a quiet cul-de-sac street. This home is 8220;like new 8221; with modern colors, modern lines, casually elegant for families or entertaining. Don't miss this amazing 3.49 acre property in Kemah, complete with 3/2 main house, 1/1 guest home, barn with stalls and storage, shared pond and fenced pens! Home boasts shiplap fireplace, designer paint, updated light fixtures and designer paint. Don't miss the adorable MUD room with sink, lockers and storage! Kitchen updated with white cabinets and granite countertops. Texas-sized covered patio is a great spot to kick back and relax or grill your next meal. Guest home updated with oh so cute kitchenette and open shelving. Bathroom re-done with walk in shower and popular, neutral design. Red Barn hosts stalls, storage and chicken coop! Fish in the shared pond, fully stocked. CCISD, Super low tax rate, NO MUD taxes! 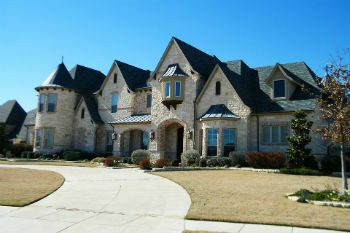 Home is located on cul-de-sac street in a gated section of Lakes of Bella Terra. This property offers an open kitchen with oversize island, 20' ceiling in kitchen and great room, large windows that offers lots of natural light, built-ins, and fireplace. Study with french doors. Large master bath with oversize shower and large bathtub. Large walk-in closet. Two bedrooms with en-suite bathrooms upstairs, fourth bedroom could be use for media/game/guess room. Two walk-in attic storage areas. Cover patio in backyard. 3 car tandem garage. Private front covered porch with upgraded landscape. Sprinkler system. Complete water softener system and reverse osmosis in kitchen. Community amenities offers: swimming pools, splash pad, gym, tennis courts, sand volleyball, soccer field, playgrounds, walking trails, and dog park. Easy access to Westpark Tollway and Grand Parkway 99. Gorgeous 2-story, 5 bedroom Perry Home in the Vicksburg with a hard to find 3 car garage, long driveway on the end of a cul-de-sac. 2 story entryway with angled staircase, private office/study with built-in shelving, elegant formal dining with classy finishes, gorgeous remodeled kitchen with tall wood cabinetry, stainless-steel appliances and breakfast bar. Family room with fabulous mantled gas fireplace and lots of natural light. Downstairs master suite w/ raised ceiling and attached bath w/ frameless walk-In shower & separate jacuzzi tub. Spacious gameroom- perfect for family & friends. Fresh carpet, marble tile and wood flooring throughout home. Nice size backyard with wood pergola and deck! 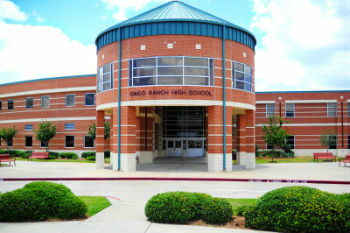 Conveniently located near Highway 6, zoned to Fort Bend ISD Schools. Roof was replaced just over a year ago and carpet was replaced Jan 2018. Schedule your private showing today. This unique and rare property is located in the peaceful Bay Breeze Addition of Kemah. This was the home of Jimmie & Lorae Walker who owned the Broadway Coffee Shop & the historic Jimmie Walker's Restaurant, currently Landry's. This classic original holds so much history & is a MUST see to appreciate. Offering WATER VIEWS of the bay, it sits on a professionally landscaped lot that is over 14k sq ft. All your favorite plants, trees & shrubs are kept hydrated with an elaborate sprinkler system. The main house has 2 large bedrooms, 2 baths, a large walk-in closet in the master, open concept kitchen/living room combo & beamed ceilings. The guest house/mother-in-law suite offers 3 bedrooms/1 bath with a private entrance/patio, Kitchen w/NEW SS appliances, washer/dryer & lots of storage. In 2016, this home was completely repiped, roof was replaced & insulation was blown in all attic/ceiling spaces. NEVER FLOODED & IS CURRENTLY IN PREFERRED FLOOD ZONE X. Great Location! 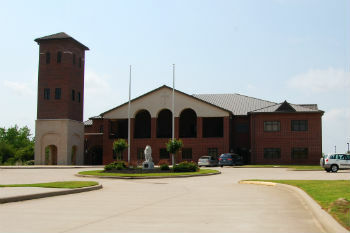 CCISD! Low Tax Rate!